304 pp. 6 x 9"
“Modern Jewish thought” is often defined as a German affair, with interventions from Eastern European, American, and Israeli philosophers. The story of France’s development of its own schools of thought has not been substantially treated outside the French milieu. 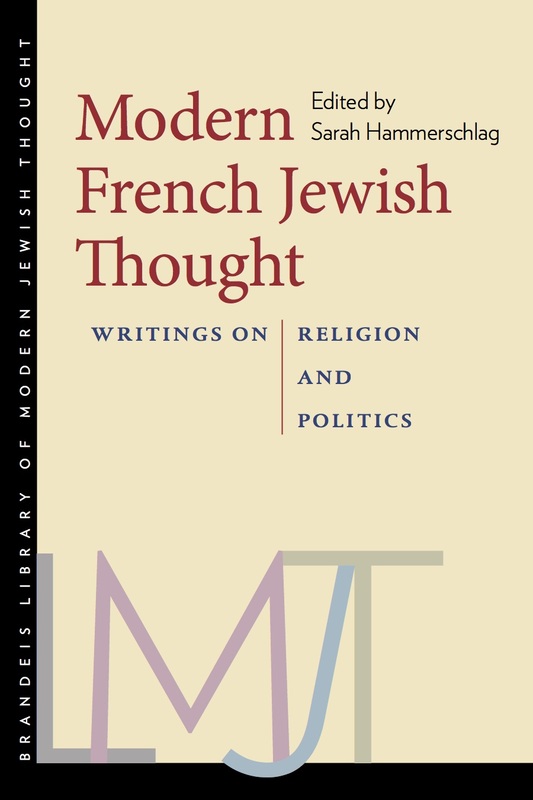 This anthology of modern French Jewish writing offers the first look at how this significant and diverse body of work developed within the historical and intellectual contexts of France and Europe. Translated into English, these documents speak to two critical axes—the first between Jewish universalism and particularism, and the second between the identification and disidentification of French Jews with France as a nation. Offering key works from Simone Weil, Vladimir Jankélévitch, Emmanuel Levinas, Albert Memmi, Hélène Cixous, Jacques Derrida, and many others, this volume is organized in roughly chronological order, to highlight the connections linking religion, politics, and history, as they coalesce around a Judaism that is unique to France. SARAH HAMMERSCHLAG is associate professor of religion and literature in the Divinity School at the University of Chicago. She is the author of The Figural Jew: Politics and Identity in Postwar French Thought and Broken Tablets: Levinas, Derrida, and the Literary Afterlife of Religion. This book is available for purchase through the University Press of New England.